Tempe, Arizona (April 13, 2015). 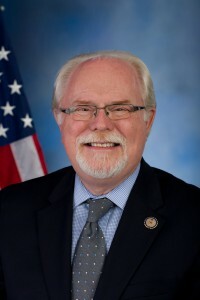 – For the first time in public, former U.S. Rep Ron Barber discussed his long-held opposition to capital punishment – a belief that remained unshaken even after he was wounded in the Jan. 8, 2011, attack in Tucson that claimed six lives and gravely wounded Barber’s boss, then U.S. Rep. Gabrielle Giffords. Barber made his remarks Saturday at the annual meeting of Death Penalty Alternatives for Arizona at the Sandra Day O’Connor College of Law at Arizona State University. Barber also accepted a position on the group’s advisory board. Also speaking Saturday were Christine McClaine, who described her experience watching her brother be executed; Mary Lash, author of “The Desert Murders: How Junk Science, Witness Contamination and Arizona Politics Condemned an Innocent Man,” about current death row inmate Scott Lehr, and Ken Everett, Lehr’s attorney in post-conviction relief appeals. On Thursday, Dan Peitzmeyer, immediate past president of Death Penalty Alternatives, will debate Maricopa County Attorney Bill Montgomery on the death penalty this Thursday, April 16, at 5:30 pm on Arizona Horizons, PBS Channel 8 in Phoenix. Barber’s next encounter with the death penalty came when he worked on a successful drive to abolish the death penalty in Arizona for persons with mental retardation. But his most intimate encounter with the death penalty came when he and 20 others were shot by Loughner in a failed assassination attempt on Giffords. Barber said he would rather see governments push to identify and help the mentally ill and has no doubt that had Loughner been successfully treated, the 2011 shooting would never have occurred. With one exception, the survivors and relatives told prosecutors not to seek death for Loughner, Barber said. That led to a plea deal in which Loughner, having received treatment in prison for schizophrenia, agreed to seven consecutive life sentences. Death Penalty Alternatives for Arizona is a statewide, grass roots membership organization working to eliminate the death penalty. For more information, call (602) 357-4848, email info@azdeathpenalty.org or online at www.azdeathpenalty.org.